The Ferrari pairing made the early running on the Pirelli supersofts – Vettel fastest of all with a 1m08.857s – but there was little appetite among Ferrari’s rivals to emerge from their garages straight away. 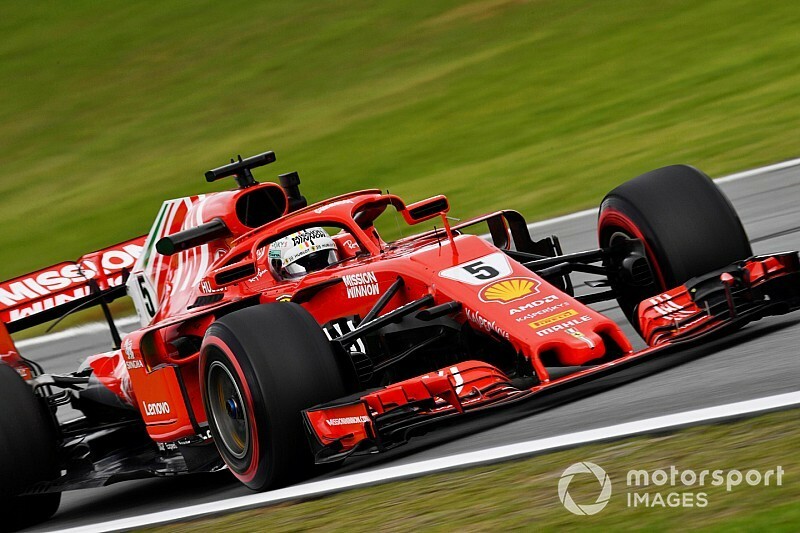 Vettel’s early flier remained the benchmark until he surpassed it with a 1m07.948s 40 minutes into the session, half a second up on Bottas’s best of 1m08.465s, and a new lap record. Hamilton took advantage of a brief lull in track activity to punch in a lap just 0.217s shy of Vettel’s time, but while he was fastest of all in the second sector he reported that his tyre pressures weren’t quite right. Daniel Ricciardo and Max Verstappen slotted in behind the leading group and over a second adrift of Vettel’s pace, both complaining of problematic understeer. The Saubers of Charles Leclerc and Marcus Ericsson were initially fourth and fifth until they were displaced by the Red Bulls, and Leclerc’s hopes of improving his time were briefly thwarted when he was instructed to return to the pits so that the team could investigate a technical issue. Leclerc hit the road again with 10 minutes to go and found more pace, but it wasn’t enough to earn the ‘best of the rest’ spot as the Haas duo of Kevin Magnussen and Romain Grosjean, and the Toro Rosso of Pierre Gasly, slotted in ahead, leaving Leclerc to round out the top 10.